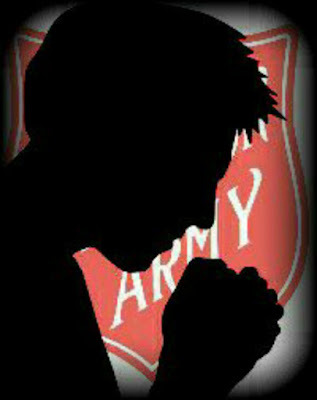 In been toying with the idea of this blog post for a while, and although I'm sure there are probably lots of different views on the issue of the Salvation Army and it's response to communion; I think it's worth exploring and discussing this issue, how it affects our Church, us as individuals; and how it has affected me personally in my walk and life as a Salvationist and the struggles and thought processes I have gone through to Justify the Army's position on this issue with my own faith and background. An important disclaimer before we go any further: the views expressed in this blog post (and all others I write) are my own thoughts and reflections and do not necessarily represent the views of the Salvation Army. I don't come from a Salvation Army background, so Communion was always a natural part of Christianity, never any question in my mind that it was fundamental. When I first started attending the Army I felt that here was a clear instruction that we were not following. And yes, that made me uncomfortable. This is probably the right time for a bit of clarification...the Army does not, has not and I pray never will have an official complaint or take an official stance against Holy Communion in and of itself. I have heard rumours of Officers or Corps taking a stand against it...rumours which I truly hope are not true. I hope that by sharing my thought processes and how I resolved this issue someone else might find their own clarification, justification and peace with issue. Really the key from the start of my questioning of the this, was the Army's acceptance of the principle of Holy Communion, this gave me the space to consider it and work through it in my own time and in my own way. Had the Army taken a stance against the teaching and principle of Communion and told me that no one should receive it I would have found it much harder to justify and resolve the conflict. I spent a lot of time thinking about the nature of communion, what form should it take, and how we keep the spirit of communion alive. By all that I mean remembering Christ's sacrifice, and binding ourselves together through one love, one mission and one Lord. It's vital, if and when we do receive Communion that we do it in the right spirit and with the right heart, not because it's what's expected or what helps us fit in...but truly in rememberance of Christ and His sacrifice. I came to the conclusion that Holy Communion is about more than bread and wine, more than tradition, more than ceremony, it is bigger and greater than ourselves...too big to be contained by anything on earth...it is a state of mind and state of being, represented by an outward sacrament. We honour it by being and remaining in communion with each other, by loving each other and serving each other. Please don't misunderstand... I certainly don't think that their are no benefits to Holy communion, I think it is a brilliant expression of Faith, commitment and remembrance. It can deepen faith, connect us to each other and to Christ and I firmly and passionately believe it has a place in modern Christianity and modern Salvationism...I'm not going to suggest in what form or how often at this stage. 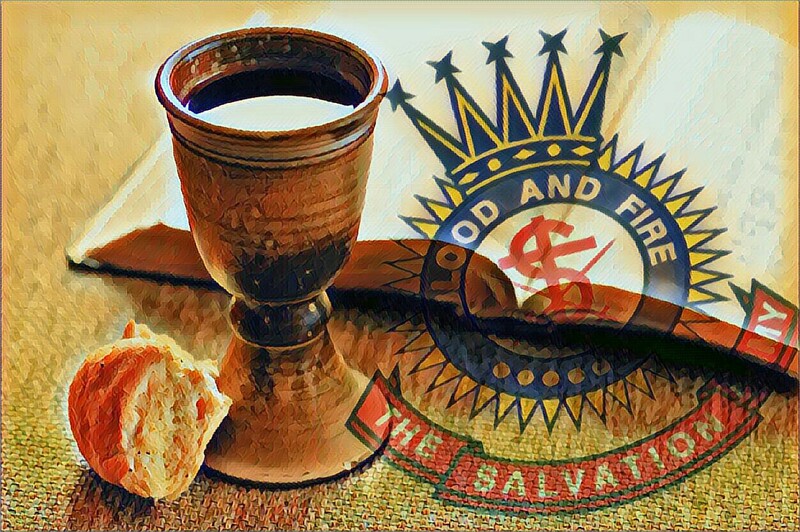 I've written this blog post, I hope sensitively, because I think for Salvationists it's important to question the Salvation Army's response and position to Holy Communion and how that fits into a key part of scripture and our own faith and theology, not for arguments sake, or to rock the boat but to truly understand why we as Salvationists do what we do and believe what we believe...Salvationists are a strange bunch I think you'll agree...but a lack of certain traditions and sacraments doesn't make us any less called, devoted and committed to Christ and to the mission of the Church.